Captivating an audience is like breathing to Jeff M. Dixon; he’s been perfecting his craft since age five. His parents recognized early on that he had a natural ability to sing, dance and simply entertain.They started him off in the children’s gospel choir and from time to time he would make guest appearances as a soloist for the young adult and senior choirs. His love for music transformed him every time he stepped onto the stage and he had no trouble inserting himself into any musical genre he chose to explore. Born and raised in Fresno, California, Jeff was exposed to all types of cultures. This afforded him to learn various music styles and dance from Country to R&B, to Pop and Latin to Alternative and Rap. It was during this time that his big brother Anthony Dixon and “Boogloo Sam” of the Electric Boogaloos exposed him to Pop Lockin', a style he began to excel in very quickly. “I was thrown into this industry at an early age, I was usually the youngest and I think that made me work harder,” said Jeff. It was over time that Jeff began to master his craft at school talent shows, city and regional talent competitions, through performing arts programs and as an opening act for local clubs and concerts. Influenced by some of the greats like Stevie Wonder, Prince, Michael Jackson and Fred Astaire; Jeff’s stage presence would gain him new heights and he never looked back. He took what he learned from all his teachers added his own flavor and till this day his performances sets him apart. He brings the fire and excitement as well as the romantic notions the ladies love. Finding his way hasn’t been easy and he refuses to just blend in. Jeff stated, “I learned so much from so many people that when I finally found my own voice and style, I couldn’t be anything else but what I am it’s real…authentic.” Jeff is also a true story teller; he doesn't mind discussing any topic through his transparent lyrics coupled with soaring vocals, infectious melodies and energy that keeps his audiences embracing the journey. “I love what I do. I want to keep making music that speaks to people and also get them dancing,” said Jeff. He is currently recording his album titled, “Relationships.” In this offering, he is discussing the joys, complications and communication problems people deal with in every relationship. “I think that I’m discussing this topic from different angles, I know people will be able to relate to finding love, losing it and sabotaging it; sometimes we’re doing all of these things at once, at some point we’ve got to learn something from relationships and do better” commented Jeff. 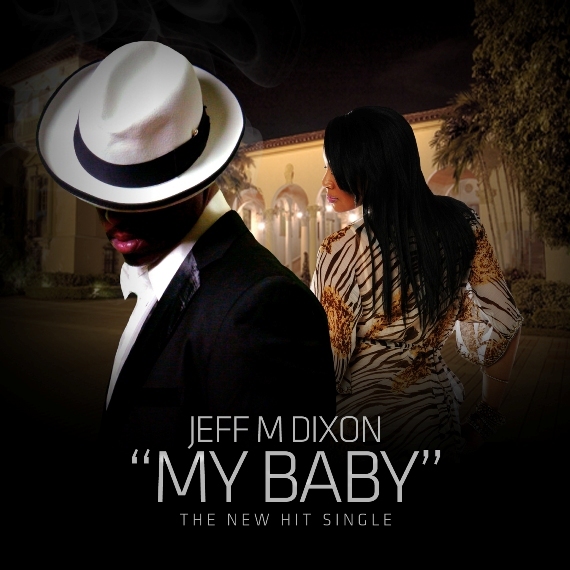 “My Baby,” his first single will drop January 18, 2013 and has already resonated with his fans and peers. It’s an honest ballad that’s sure to evoke a real conversation between the sexes; it also hints at his musicianship. With so much more to give, Jeff is ready to deliver his heart and soul to audiences the world over.